Welcome! 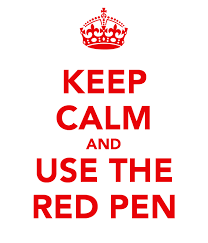 The Red Pen is a place to find advice and tips about writing. I will regularly post my own articles about the art of writing and the science of editing. I will also share articles I have found helpful over the years. Feel free to contact me with questions. I am happy to address any of your writing concerns.